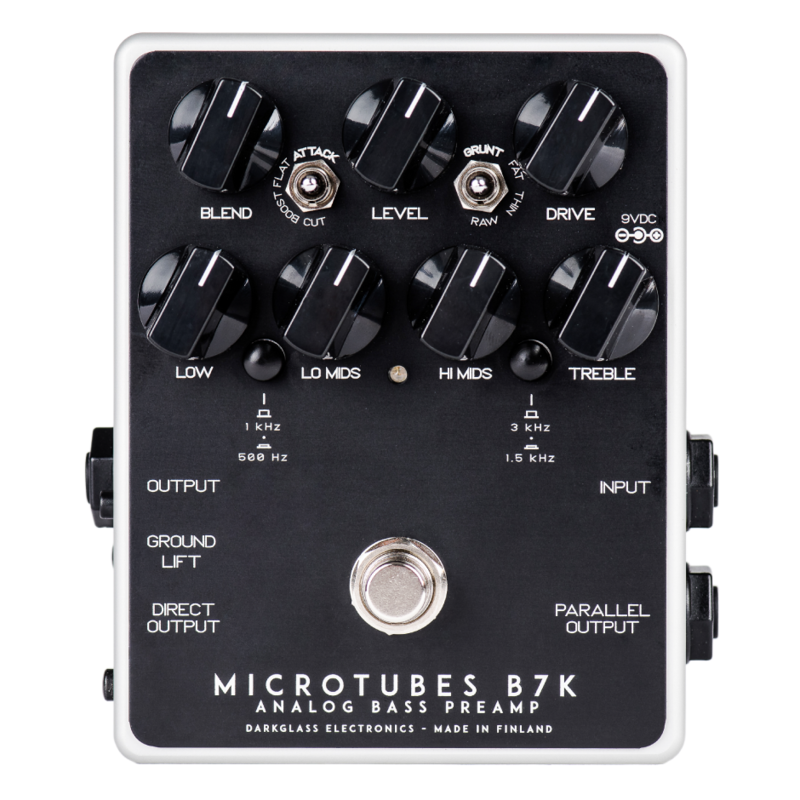 With the Microtubes B7K v2 you get all the features of the original, with the ability to better sculpture your tone: on the low mids you have the option to change the center frequency from 1KHz to 500Hz, and on the high mids you have the option to change the center frequency from 3kHz to 1.5kHz. This will enable you to tailor your absolute dream distortion tone. The character and core of the Microtubes B7K remains the same, still retaining the powerful dynamic saturation circuit of the B3K and adds a four-band equalizer and a balanced line driver for even greater versatility. Designed for both studio and live use, it will take your direct sound to a whole new level. This switch change the center frequency of the Low Mids from 1kHz to 500Hz. This switch change the center frequency of the Hi Mids from 3kHz to 1.5kHz. The Microtubes B7K v2 has a current draw of 30mA. Only use a regulated 9V DC adapter with a center-negative plug. Due to ecological reasons it does not accept batteries. Unregulated power supplies and/or higher voltages may result in suboptimal noise performance and even damage your unit, voiding the warranty.